If you are new to social media marketing for your business, you may be wondering about hashtags, how to use them and when to use them. A hashtag (also known as the pound sign in the US) is used to make a word searchable on Twitter (and on Instagram & Pinterest). In recent months, Facebook and Google+ have also integrated hashtags. On these social channels, hashtags give you a way to categorize your posts based on topics that people may be interested in following. Hashtags are used to help your posts get found online, but before you jump in and start using them, there are 5 things you should know to make the most effective use of them. Start by thinking about the types of hashtags your customers would follow. Don't be too general; you want your customers to engage in what you have to say. When marketing your business online, think about the detailed words and phrases that those in your target market use. Be creative and think outside your brand message. Consider trending topics, as well. It's okay to participate in a conversation online outside of your sales message. 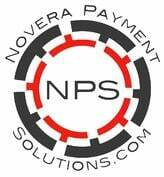 Consider this, your potential custumers watch the news, primetime TV, have families, and need a variety of services. The use of a variety of hashtags in your marketing messages can get you in front of these consumers using topics you may have never considered. Name an event. #Olympics2014 is a popular hashtag right now ... how might you integrate this into your marketing message? Build on a trend. If you run a Jeep dealership, #lovemyjeep might be a great hashtag for a post ... especially if you can get others (your customers) to start using it! Use a location. #Atlanta localizes your message if you are an Atlanta based business. Use something from pop culture, such as a popular TV Show. #AmericanIdol, might be a great hashtag if you operate a Ford auto dealership. Because Ford is a major sponsor of America Idol, getting online and tweeting locally about #AmericanIdol may get their younger demographic into your dealership. Give a summary of your day. #lovemyjob, might be a good one to push a message about a client success. Use SEO Strategies. #BrooklynHondaDealer, focuses keywords around your business if you operate an auto dealership in Brooklyn that sells Hondas. By creating your own unique hashtag, you can drive conversations about your business. If you are having a sale, you could promote it with a hashtag incorporating your business name, #SaveBigatNovera is an example. Encourage your followers and friends to use the hashtag as well. Creating hashtags for an event also works well to get attendees and prospects interested in the event. You want to make sure your new hashtag is distinctive. Try to incorporate your business name or at least the initials if the name is too long. If you are creating a new hashtag to use for marketing, make sure it isn’t already being used by someone else. The hashtag may already be in use by a company or group that you don’t want associated with yours. Some words have double meanings, so be careful when choosing a hashtag to represent your brand and company. Using already popular hashtags is also great way to get your business noticed, as well. 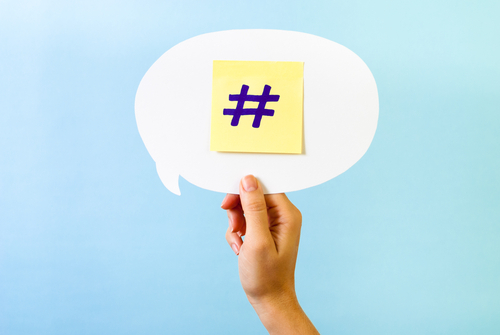 See which hashtags are trending and try to incorporate them into your posts. Find businesses like yours and see what’s working for them. Since twitter already limits you to 140 characters, it is important to keep your hashtags short. If you want others to re-tweet your message, you need to get your point across by being clear and concise in that short amount of space. The most successful hashtags are typically the ones that are easiest to remember. Excessive hashtags send the message of desperate marketing and can be a way to lose followers quickly. Use only 1-3 hashtags per tweet for the best results. Too many hashtags can be distracting from your message, as well. Now that you know a little bit more about hashtags, search for a few topics that are relevant to your business. This can give you a starting point for your first attempt at using hashtags. The proper use of hash tags in your posts across the social media channels can help drive conversation about your brand and your industry, as well as grow your followers and fans.